Shaun Murphy will face world champion Mark Selby in the final of the German Masters in Berlin on Sunday. 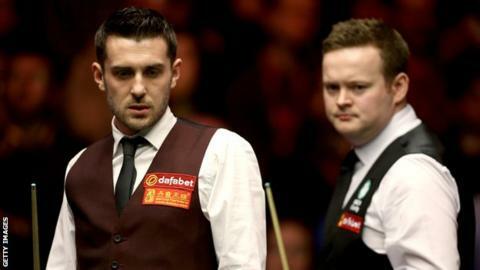 Selby, the world number four, beat Stephen Maguire 6-2 in their semi-final while Murphy beat Liang Wenbo 6-4. Selby, 31, raced to a 3-0 lead, with breaks of 68, 94 and 73 before Maguire, 33, took the fourth frame. The Englishman then won the first two frames after the interval before eventually booking his place in the final, for the first time since 2011. Murphy, the 32-year-old world number 10, led 3-0, then lost the next four frames, before taking the last three to win. The Masters champion rattled in breaks of 141 and 145 and remains on course for his fifth trophy in 12 months.